Watching his friends step on the competition stage was enough to propel Jacob into the weight room. He took the torch, got serious about nutrition, and built a powerful physique! It all started when one of my best friends competed in a few bodybuilding contests and did well. That opened my eyes to the bodybuilding world, and from that point on I started reading magazines and following the contests. The year after that, another friend of mine stepped onstage and competed for the first time. I saw the whole process of dieting firsthand through him. After he competed, I knew I was next in line and wanted to give it a shot. The first thing I did was get with someone who knew what they were doing with nutrition, and thankfully I was blessed to have a top-level NPC athlete as a coworker. We worked together and he had me dieting right away at 22 weeks out. I listened to him every step of the way, eating every meal, and never missing a cardio session no matter how I felt. There were plenty of days when I woke up and wanted to skip cardio, but I would only be hurting myself. My drive came from within. The minute I saw changes in my weight and physique I was hooked. There was nothing that could push me off course; I was determined to bring a shredded physique to the stage. The cardio was the hardest part for me. I didn't have a problem eating the same foods day in and day out; it was waking up on an empty stomach and doing fasted cardio. Toward the end, we bumped up cardio to an hour and a half a day. That's when I really hated cardio. It's a love-hate relationship because I couldn't get lean without cardio. I plan to take time off this year to fill out my frame. 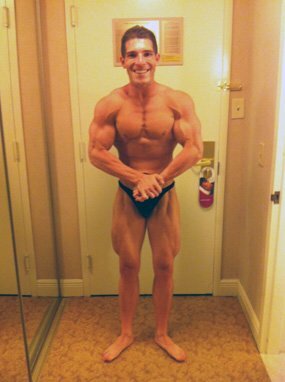 I'm a pretty tall guy for bodybuilding (5'11"). That means I have more to fill out than shorter guys. Hopefully I can make some nice improvements to my physique and do some damage next year when I compete again. I would talk to somebody who has been where you want to go. There's a saying that goes: "Success demands you must go where you have never gone before by doing what you have never done before." With that being said, I would talk to a trainer or nutritionist to help you get where you want to be or look like. 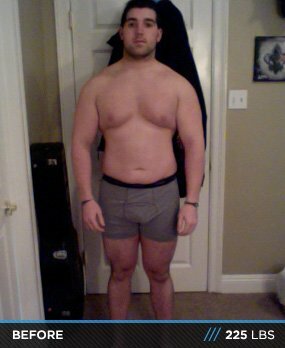 Bodybuilding.com was a huge stable in my diet/supplementation. They have everything you need from protein to posing trunks, and there is always some sort of sale or promotion going on where you can really save cash.